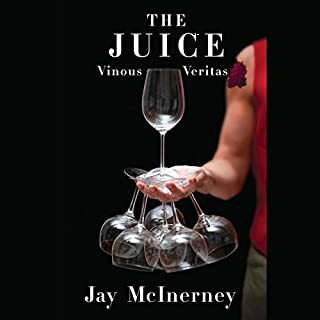 For more than a decade, Jay McInerney’s vinous essays, now featured in The Wall Street Journal, have been praised by restaurateurs (“Filled with small courses and surprising and exotic flavors, educational and delicious at the same time” —Mario Batali), by esteemed critics (“Brilliant, witty, comical, and often shamelessly candid and provocative” —Robert M. Parker Jr.), and by the media (“His wine judgments are sound, his anecdotes witty, and his literary references impeccable” — The New York Times). 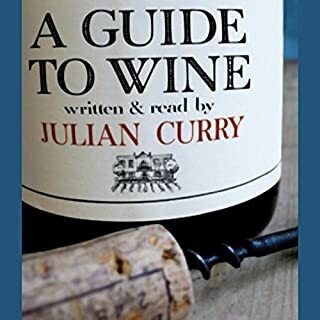 Actor and wine expert Julian Curry has devised a unique audiobook guide to wine. The whole subject is introduced and explained  how wine is made, the different grapes, the different blends, vintages, wine-growing areas and types. In an entertaining and informal style, he also teaches how to taste wine, and how to choose and store it. From cork taint, to volatile acidity, to off-putting aromas and flavors, all wine connoisseurs have encountered unappealing qualities in a disappointing bottle. But are all faults truly bad? Are some even desirable? Jamie Goode brings his authoritative voice to the table once again to demystify the science behind what causes a good bottle to go bad. 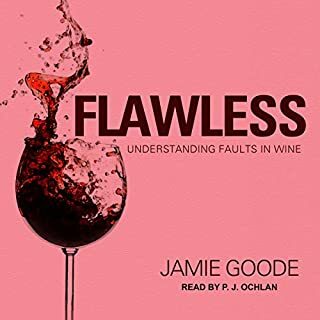 By exposing the root causes of faults in wine, Flawless challenges us to rethink our assumptions about how wine should taste and how we can understand beauty in a glass. There are nearly 1,400 known varieties of wine grapes in the world - from altesse to zierfandler - but 80 percent of the wine we drink is made from only 20 grapes. In Godforsaken Grapes, Jason Wilson looks at how that came to be and embarks on a journey to discover what we miss. While hunting down obscure and underappreciated wines, he looks at why these wines fell out of favor (or never gained it in the first place), what it means to be obscure, and how geopolitics, economics, and fashion have changed what we drink. In 1940, France fell to the Nazis and almost immediately the German army began a campaign of pillaging one of the assets the French hold most dear: their wine. Like others in the French Resistance, winemakers mobilized to oppose their occupiers, but the tale of their extraordinary efforts has remained largely unknown - until now. This is the thrilling and harrowing story of the French wine producers who undertook ingenious, daring measures to save their cherished crops and bottles as the Germans closed in on them. Ray Walker had a secure career in finance until a wine-tasting vacation ignited a passion that he couldn't stifle. Ray neglected his work, spending hours poring over ancient French winemaking texts, learning the techniques and the language, and daydreaming about vineyards. After Ray experienced his first taste of wine from Burgundy, he could wait no longer. He quit his job and went to France to start a winery - with little money, a limited command of French, and virtually no winemaking experience. Inspiring story: I wish he'd learn some humility! The characters in Tasting the Past include a young Swiss scientist who set out to decode the DNA of every single wine grape in the world; Middle Eastern researchers who seek to discover the wines that King David drank; and a University of Pennsylvania academic who has spent decades analyzing wine remains. The science illuminates wine in ways no critic can, and demolishes some of the most sacred dogmas of the industry: well-known French grapes aren't especially noble. If you're a wine geek, this book is for you. Gerald Asher, who served as Gourmet's wine editor for 30 years, has drawn together this selection of his essays, published in Gourmet and elsewhere, for the collective insight they give into why a wine should always be an expression of a place and a time. 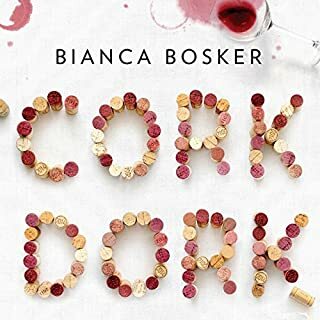 Guiding the reader through 27 diverse wine regions in France, Italy, Spain, Germany, and California, he shows how every wine worth drinking is a reflection of its terroir - in the broadest sense of that untranslatable word. It was the most expensive bottle of wine ever sold. In 1985, at a heated auction by Christie's of London, a 1787 bottle of Château Lafite Bordeaux - one of a cache of bottles unearthed in a bricked-up Paris cellar and supposedly owned by Thomas Jefferson - went for $156,000 to a member of the Forbes family. The discoverer of the bottle was pop-band manager turned wine collector Hardy Rodenstock, who had a knack for finding extremely old and exquisite wines. Every time you open a bottle of wine, you embark on a journey through a world of sensations. Yet for all its pleasurable qualities, wine can be bewildering in its mystery and complexity. Unlocking the secrets of wine is the key to heightening your appreciation of this rewarding experience. Whether you’re a novice looking to master the basics, an enthusiast who tours vineyards, or something in between, there’s no better way to learn about wine than from a wine expert. Writing with wit and verve, Mike Veseth (a.k.a. the Wine Economist) tells the compelling story of the war between the market trends that are redrawing the world wine map and the terroirists who resist them. Wine and the wine business are at a critical crossroad today, transformed by three powerful forces. Veseth begins with the first force, globalization, which is shifting the center of the wine world as global wine markets provide enthusiasts with a rich but overwhelming array of choices. Thank you for selecting Wine Talks on your journey to learning about wine. We know that the most effective learning and appreciation comes through interactions. Rather than craft a book of written words on wine, of which there are many, we have opted to educate you through live conversations. We discuss wine from many angles so you'll walk away with a solid grasp on how it's made and how to buy it, all the way to how to taste for maximum enjoyment. After bursting onto the scene in 2002, Rudy Kurniawan quickly became the leading purveyor of rare wines to the American elite. But in April 2008, his lots of Domaine Ponsot Clos Saint-Denis red burgundy - dating as far back as 1945 - were abruptly pulled from auction. The problem? The winemaker was certain that this particular burgundy was first produced only in 1982. An excellent bottle of wine can be the spark that inspires a brainstorming session. Such was the case for Ian Tattersall and Rob DeSalle, scientists who frequently collaborate on book and museum exhibition projects. When the conversation turned to wine one evening, it almost inevitably led the two - one a palaeoanthropologist, the other a molecular biologist - to begin exploring the many intersections between science and wine. 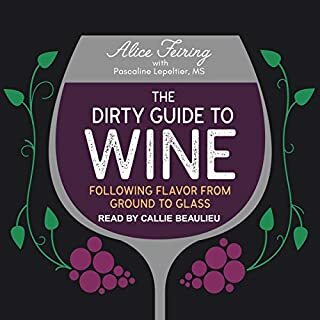 This audiobook presents their fascinating, freewheeling answers to the question: What can science tell us about wine? And vice versa. 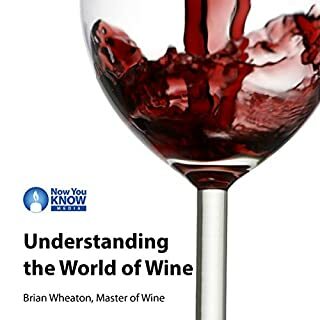 Conversational and accessible to everyone, this book embraces almost every imaginable area of the sciences, from microbiology and ecology (for an understanding of what creates this complex beverage) to physiology and neurobiology (for insight into the effects of wine on the mind and body). The authors draw on physics, chemistry, biochemistry, evolution, and climatology, and they expand the discussion to include insights from anthropology, primatology, entomology, Neolithic archaeology, and even classical history. The resulting volume is indispensable for anyone who wishes to appreciate wine to its fullest. a great review of wine science,! I loved the in depth review of the science of wine.. I learned to love those wines I currently enjoy and to explore so many others!! All the references on a pdf. So much intresting data that one wants to look into when presented with all of these different aspects of grapes and wine making. Very informative, interesting and well researched. An extremely engaging explaination of all things wine. Great science, good story telling and read in an engaging manner. 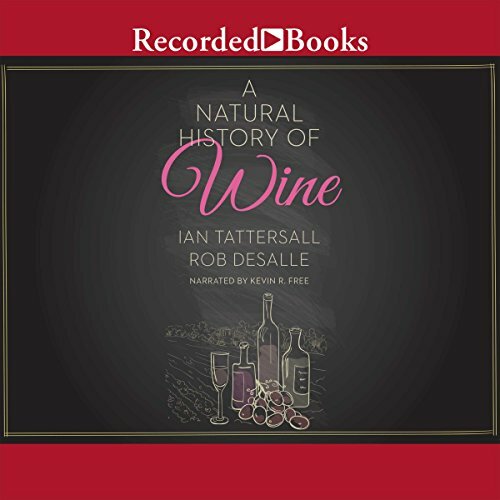 I enjoyed learning about the extremely interesting natural history of wine, its makers and the many critters and environmental factors that aid, and hamper wine production.